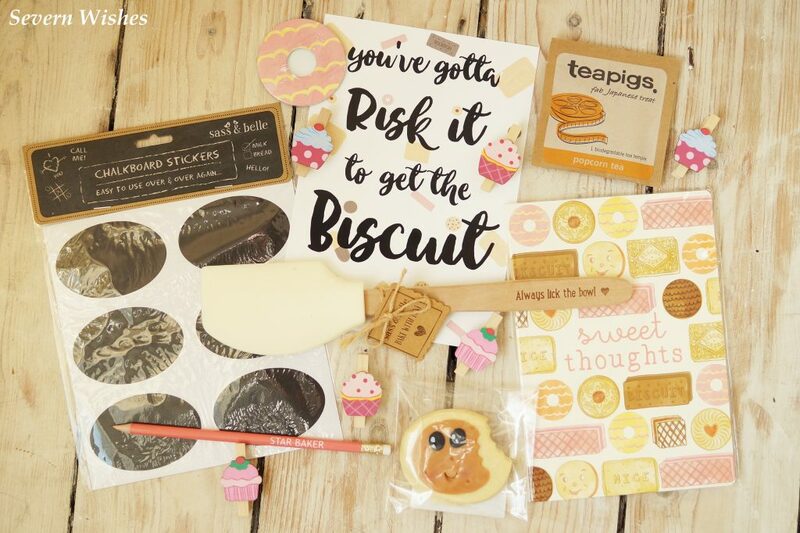 June has arrived with some sunshine and a treat box which is filled with baking theme items! I have to admit that I love to bake even though I’m not very good at it, I have perfected brownies but with cake I am still learning! The items in this box will no doubt be of great use to me over the summer months as I continue cooking and making the perfect recipe. 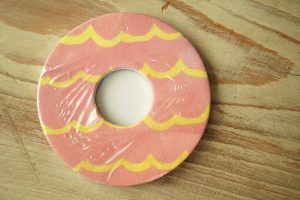 So it’s time for the big reveal! 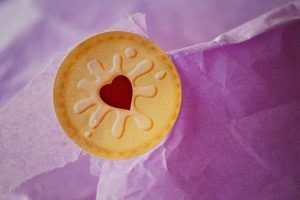 I have chosen to photograph the products in more detail this month so you can really see the quality of things you are getting from the treat box. 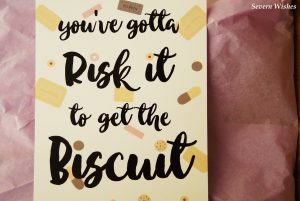 What can we find in June’s box, of course there is a card, this months reads ‘You’ve Gotta Risk It To Get The Biscuit’ which is a phrase I have used plenty of times in my life already, and I had a little chuckle at it as I opened the box up. 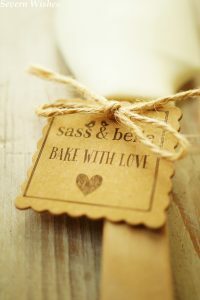 Inside the first thing I noticed was a wonderful baking spatula of fabulous quality. 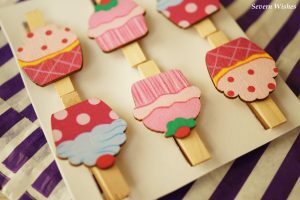 There are some pegs (mine were cupcakes) which can be used for photos or recipes or decoration. 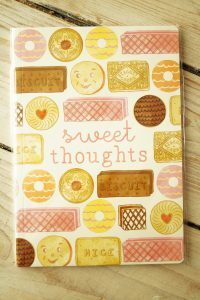 Inside the treat box you’ll also find a notebook designed for anything cookery related you’d like to make notes on. 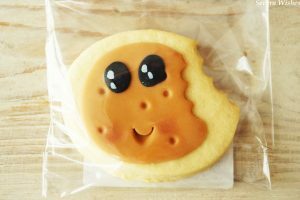 Also there is a delicious biscuit (I had to stop myself eating mine because I wanted to make sure I photographed it) and mine had such a cute face on it too! 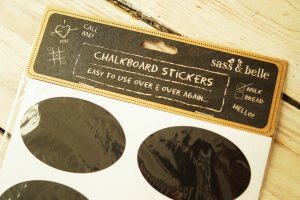 In this months treat box there is a packet of chalkboard stickers – something I’ve never seen before – fantastic for people who haven’t got a kitchen big enough for an actual board! 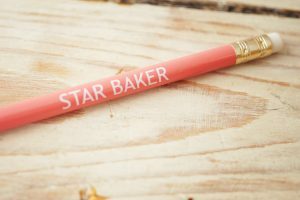 You will also find a pencil – mine was pink and read ‘Star Baker’ which is just lovely especially if you enjoy watching bake off! 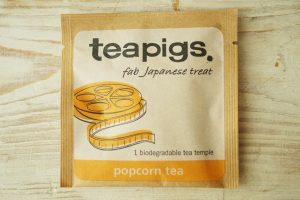 There will also be a teabag and mine happened to be popcorn flavour green tea which is something I drink anyway so I’m intrigued to try this flavour. 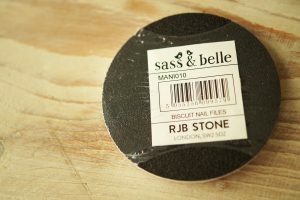 And finally you have some biscuit nail files which are cute and always handy for a ladies handbag. 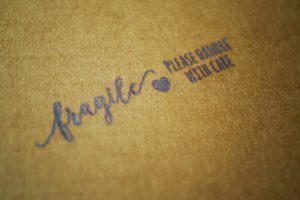 I’m very pleased with all of the items in this treat box and once again so impressed with the effort and the presentation that these lovely gifts are sent out in. 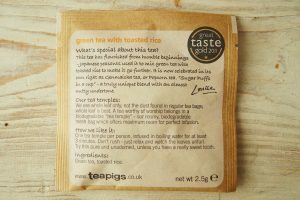 So what has been my favourite item from this months box. 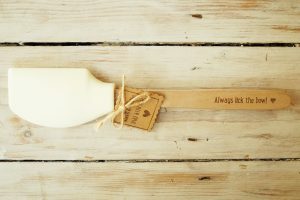 I couldn’t choose between the spatula and the notebook. Both are so useful and perfect for myself and my daily life. 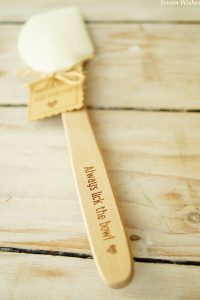 I know that both will be used and enjoyed. 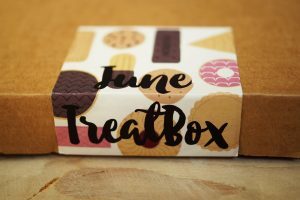 The beauty of subscribing to treatbox is that you’ll pay a one-off fee for whichever amount you choose, and then each month your box gets sent to your door. 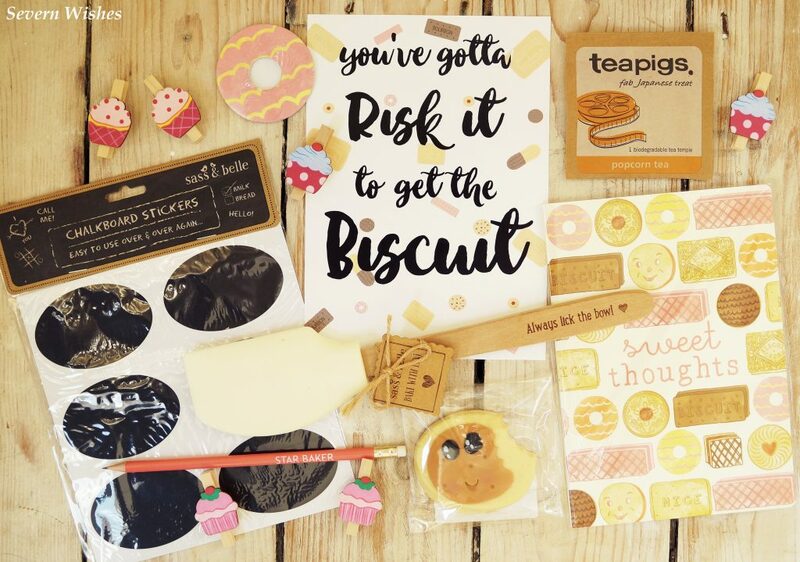 Inside could be a range of gifts from homeware to accessories, edible items and other useful things, as well as trinkets, jewellery and inspirational quotes too! 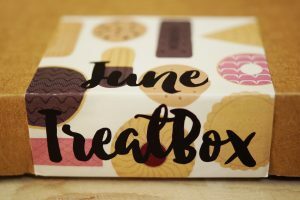 I have really enjoyed my three month subscription to treatbox, and if you aren’t sure on whether to try it or not I would say order a one off box, and then if you’re happy with it you can always subscribe after it 🙂 Check out my previous posts all on the treat boxes I have received so far, in the unique category off my homepage called ‘Treatbox’ just for these reviews and reveals. 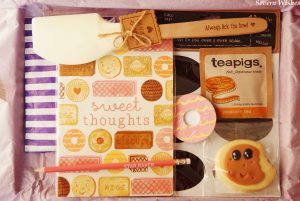 This entry was posted in Reveals, Reviews, Treatbox by Sabrina. Bookmark the permalink.